Student-friendly stats! Berenson's fresh, conversational writing style and streamlined design helps students with their comprehension of the concepts and creates a thoroughly readable learning experience. Business Statistics emphasises the use of statistics to analyse and interpret data and assumes that computer software is an integral part of this analysis. Berenson's 'real world' business focus takes students beyond the pure theory by relating statistical concepts to functional areas of business with real people working in real business environments, using statistics to tackle real business challenges. 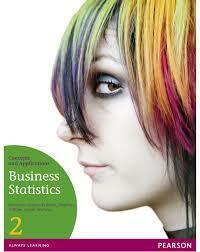 Business Statistics covers the key content in first year business statistics courses as well as further coverage of topics such as decision making, statistical applications, Chi-square tests and nonparametric tests. Save time and improve your results Business Statistics 2nd edition may be packaged with MyMathLab Global, a personalised, interactive teaching and learning experience that integrates homework, tutorial assistance, guided solutions and eBook content with unlimited practice.